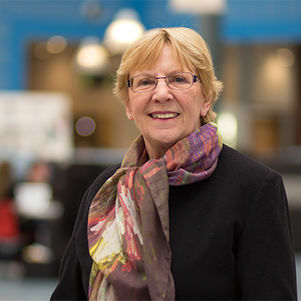 Tischa van der Cammen obtained her medical degree at Leiden University in 1973, and dual accreditation in Internal and Geriatric Medicine in 1979 (NL) and 1984 (UK). She received her training in Geriatric Medicine at University College Hospital London, where she was co-founder of the first Memory Clinic in Europe in 1982. She returned to Rotterdam in 1987, where she founded the Department of Geriatric Medicine (1987), the Memory Clinic (1987), and the Falls Prevention Clinic (2003) at the Erasmus MC, University Medical Center Rotterdam (Erasmus MC). In 1991 she received a PhD in Medicine for her thesis ‘Diagnostic Approaches and Management Aspects of Early Dementia’ at the Erasmus University. She was head of the Section of Geriatric Medicine Erasmus MC and Harbour Hospital Rotterdam 1987 - 2011. She is a member of many national and international scientific societies on ageing. In March 2005, she was visiting professor in Geriatric Medicine, University of Brno, Czech Republic. In 2007 she was appointed Associate Professor of Geriatric Medicine at the Erasmus MC; in 2008 Member of the Professorial Board of the European Academy for Medicine of Ageing (EAMA); and Fellow of the Royal College of Physicians London. On 12 February 2015 she was appointed Honorary Member of the Dutch Geriatrics Society: Nederlandse Vereniging voor Klinische Geriatrie (NVKG). Tischa is a reviewer for both national and international journals on ageing, and has extensive knowledge of and expertise in the field of pharmacotherapy and adverse drug reactions in old age. Her publications cover aspects of dementia, comprehensive geriatric assessment, falls, drug-related falls, and adverse drug reactions. Falls are a major health care problem and a geriatric presentation of underlying disease. The research of Tischa is directed at determinants of falls in older persons, with the aim to identify the contribution of ageing, drugs, polypharmacy, and muscle atrophy to fall risk. Especially, reversibility of fall risk and prevention of further falls are areas of interest.